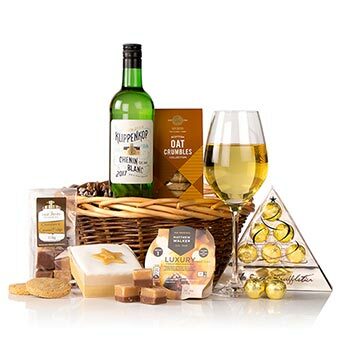 This delightful basket is a popular choice full of a delicious collection of Christmas treats. Deliberate over Luxurious Christmas pudding or Maple & Pecan oat crumbles perhaps washed down with a glass of the Chenin Blanc. Spoil someone with The Luxury Gift Basket this Christmas!